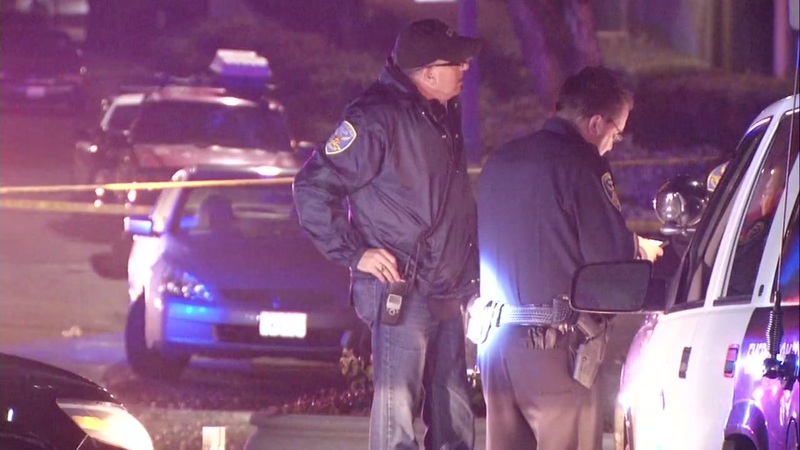 SAN FRANCISCO (KGO) -- Officials said a suspect accused of shooting a San Francisco officer died Sunday afternoon. Officer Kevin Downs and his partner responded to the Lakeshore Shopping Center after security guards reported a man who was threatening customers on Friday. Witnesses said there was a foot chase and then gunfire. "Two people, a cop and then the other guy was running from this direction that way and then all we heard was shots, like four or five shots and then we heard a scream like officer down really loudly," witness Alex Melendez said. Downs was shot according to the interim police chief, who said the the bullet entered and exited his head. "He underwent surgery to remove fragments from his brain and he still has partial paralysis on the side of his body from a shot to the head," SFPD Interim Chief Toney Chaplan said. Downs is a two-year veteran of the police force. A friend says he comes from a family that's been dedicated to public service. His father is a retired San Francisco policeman. After he was shot, the suspected gunman ran several blocks to Stern Grove. Police cornered him next to the Edgewood, a youth behavioral health center. "There was various number of pops, and then we saw somebody running through the campus. So we went into our lockdown protocol and got all the kids in the stairways," explained Melek Totah, Edgewood school CFO. In the end, the suspect tried to hold off police next a playground. But after an exchange of gunfire, he was injured and eventually taken into custody. Police have not released his name. Downs is currently recovering at a nearby hospital.